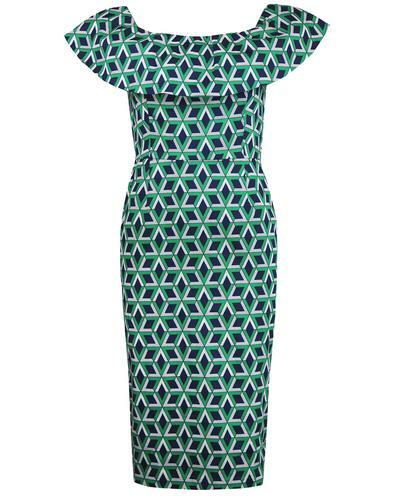 Madcap England Aztec women's retro 1960s geometric tribal print circle dress. A stunning summery print on light and silky rayon fabric, Inspired by original tribal deigns, this fab retro geo print features mod target diamonds, psychedelic floral motifs, vibrant colour combinations and mini dot details. The floaty circle skirt is complimented by cute retro belt accessory in navy. 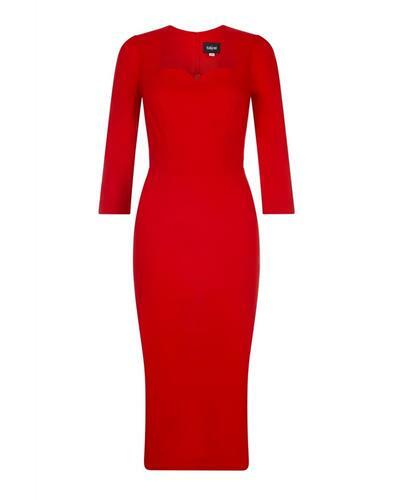 The Aztec Madcap England circle dress also features demure rounded neckline, discreet zip back fastening and is fully lined. 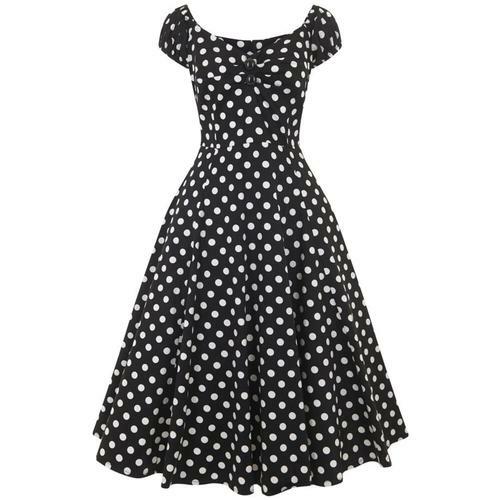 A gorgeous sleeveless circle dress that is packed with 60s mod style and a hint of glamorous 1950s inspiration. Team with sandals and catseye sunglasses for a fab retro summer look! 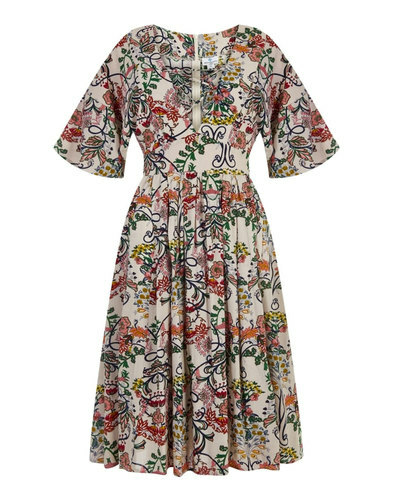 - Madcap England 'Aztec' retro 60s geo print summer dress. - Tribal print with diamond mod target and floral mini dot design. - Colour: Tribal Print (Orange/Blue/White). 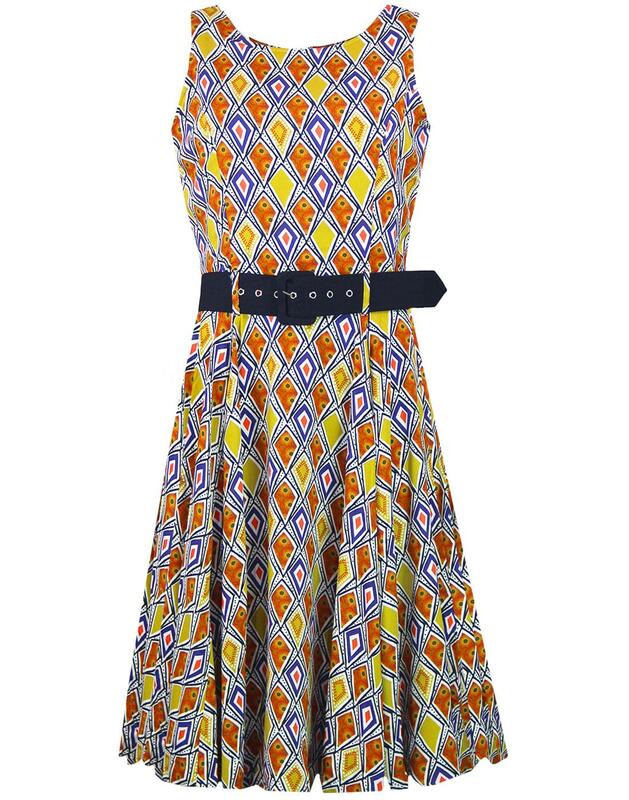 - SKU: MC416 Tribal Print Circle Dress. 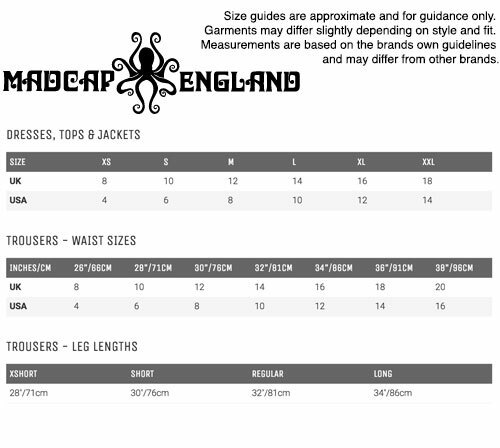 Approximate length (taken from size 10): 103cm.